One big sign. One huge parking lot. One wonderful park. 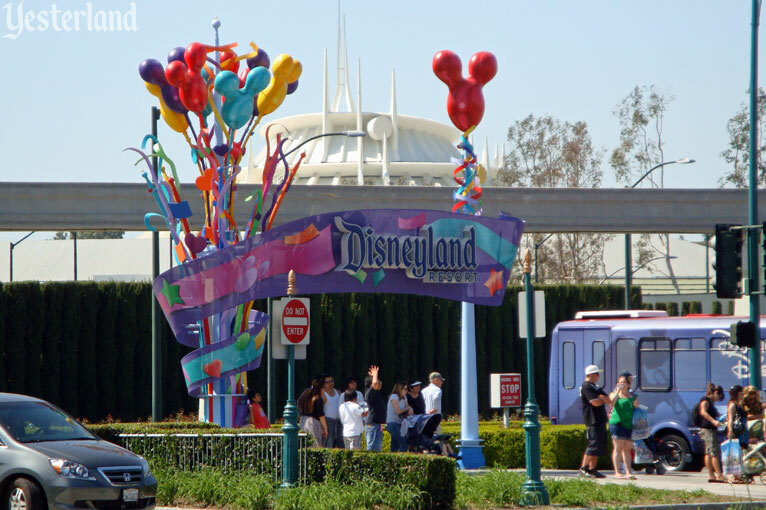 Arriving at Disneyland Park used to be simple and consistent. Part 1 of this 2-part article looked at 1955 to 1999. In the 21st Century, things became much more complicated. The huge parking lot became a construction site after it closed January 21, 1998. 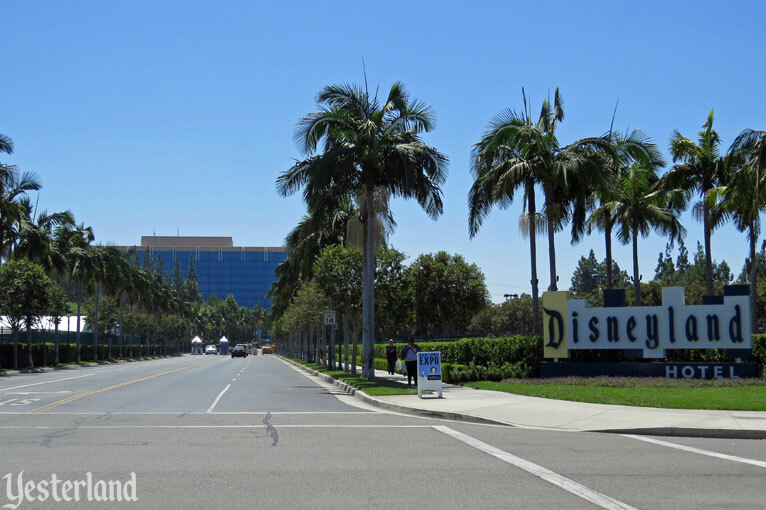 In the years that followed, guests could be directed to a number of different parking lots, often completely bypassing the old entrance. Pedestrians could enter the grounds at various spots. Instead of one big sign, it made sense to have a number of smaller ones. 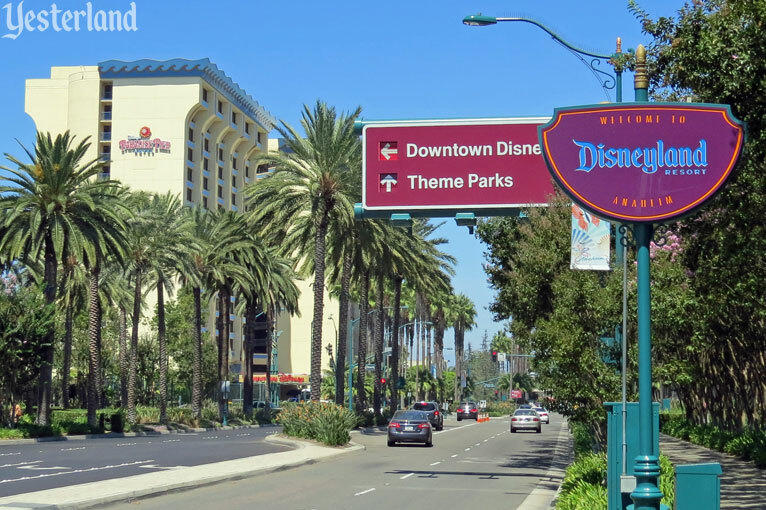 Some signs would refer to the entire complex of two parks, three hotels, and Downtown Disney shopping and dining—branded as the Disneyland Resort—while others would feature one or more of its components. With the new moniker came the idea that the newly-branded Resort and the venerable Park should each have a separate visual identity. It didn’t work. 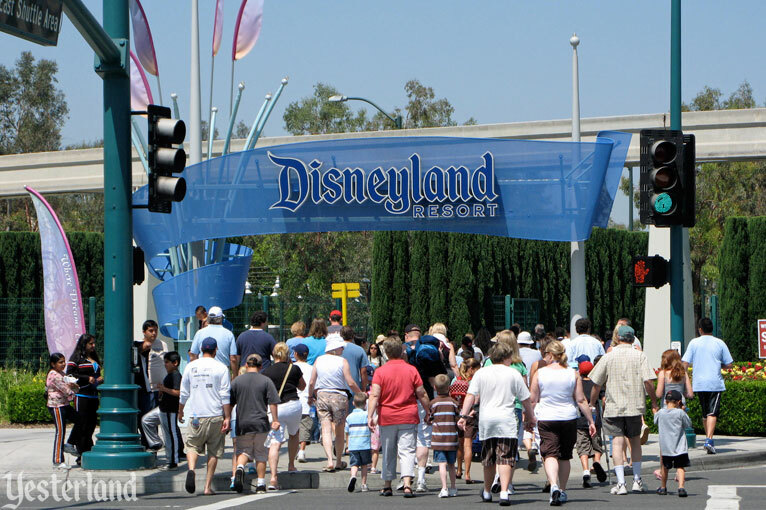 In 2007, the decision-makers threw in the towel on the new Disneyland Resort visual identify. 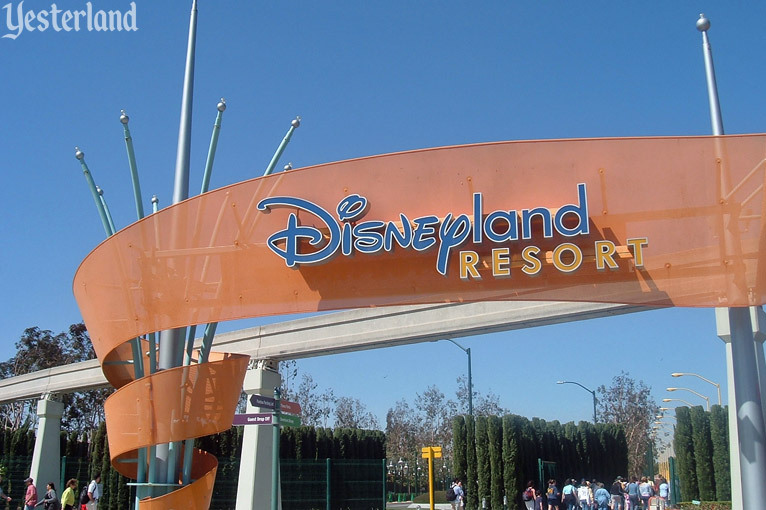 Disneyland’s gothic logoscript would be used for both, with “Park” or “Resort” below, as appropriate. Signs were updated. 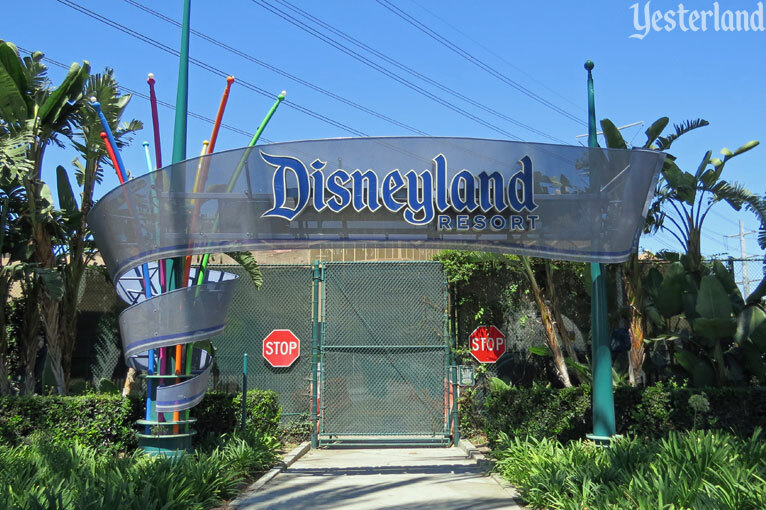 For some reason, the retired visual identity remained on the Disneyland Drive sign for several more years. The closest thing to an old Harbor Blvd. 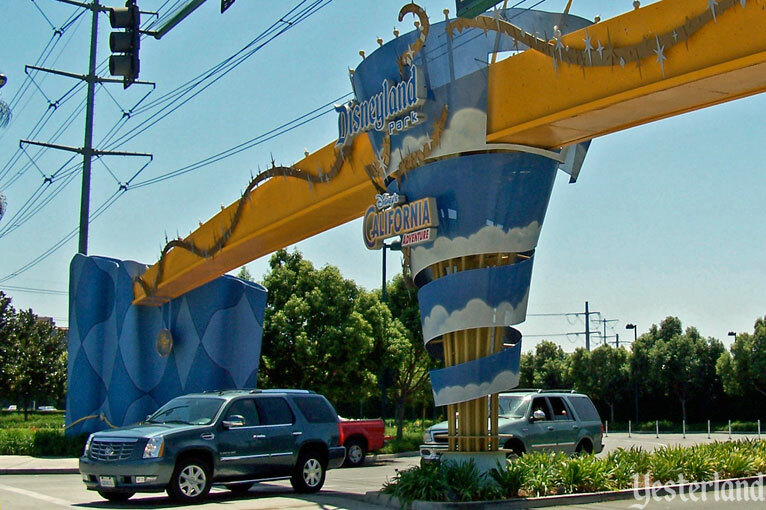 sign—in location, scale, and purpose—was the entrance arch on Harbor Blvd. 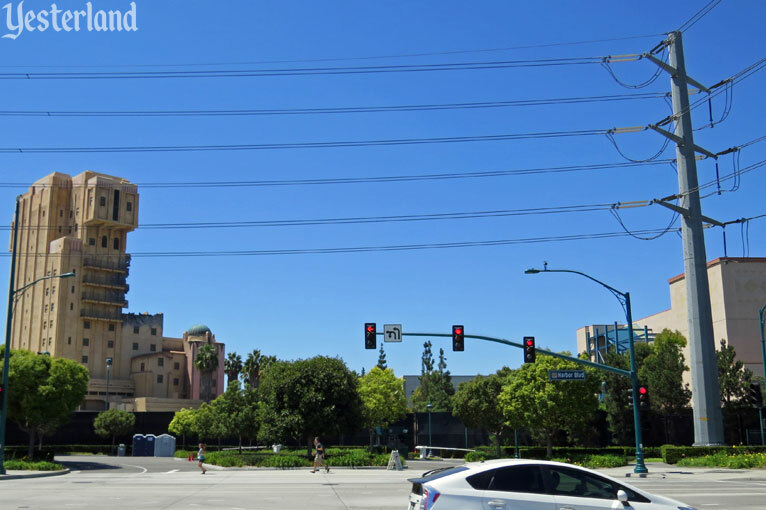 It provided access not only to the last remnant of the old Disneyland parking lot (the Timon parking lot, until that lot was eliminated to make way for Cars Land), but also indirect access to other lots by leading to Disneyland Drive. 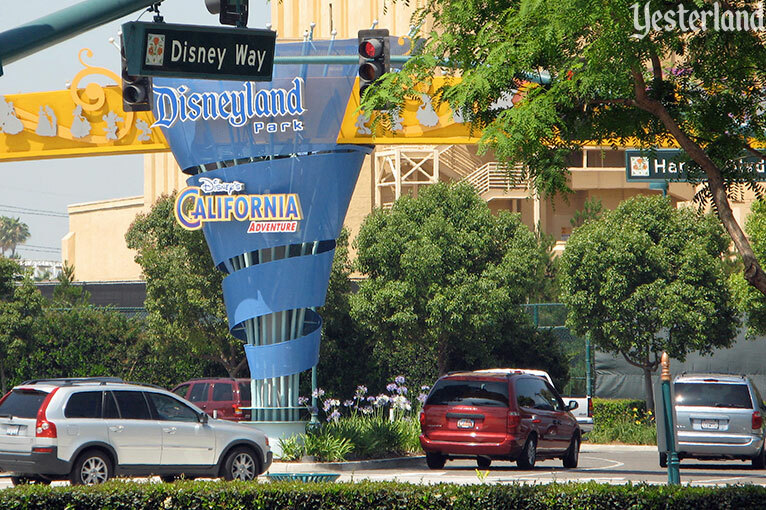 Because it was for theme park parking, not for hotel or Downtown Disney parking, the arch featured the logos of the two parks, not the Disneyland Resort logo. The arch and other signs lacked changeable marquees to promote events. Instead, they were dressed up. For 2007, the first year of The Year of a Million Dreams, the arch was flanked with “Where Dreams Come True” wings and decorated with squiggles and silhouettes. 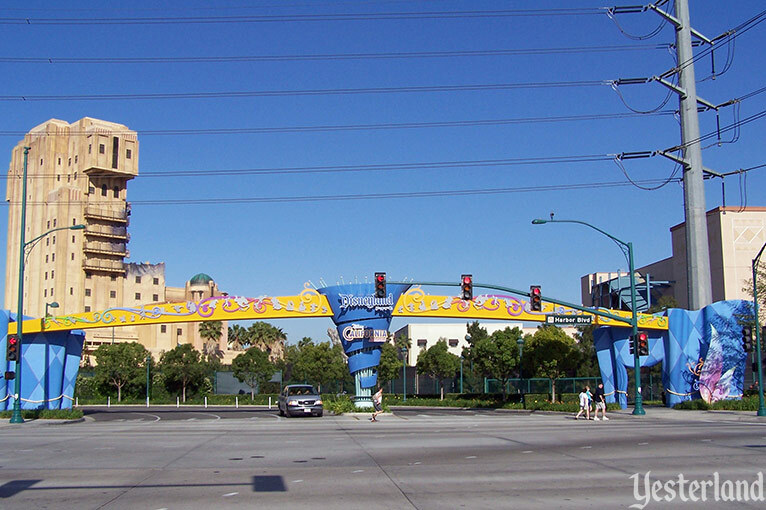 The arch was eliminated in 2011 because the Disney Way entrance no longer served as parking access for guests. A short distance north of the former arch location, pedestrians from the Pumba lot and nearby hotels cross Harbor Blvd. 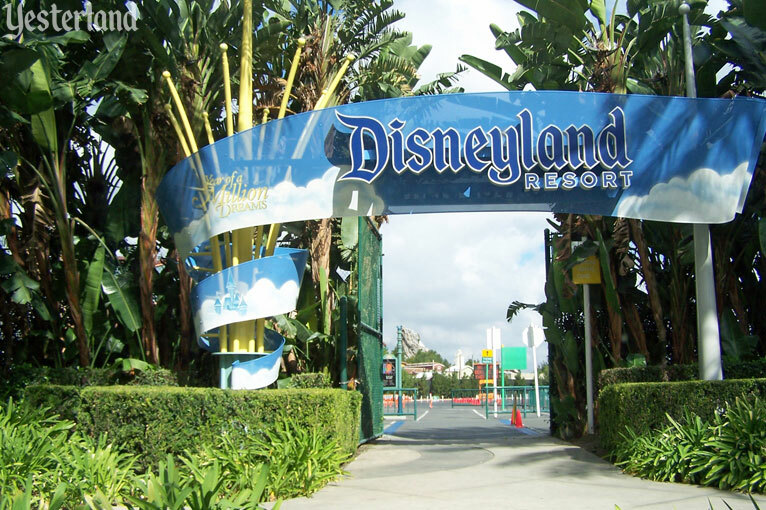 and are greeted by a Disneyland Resort sign. 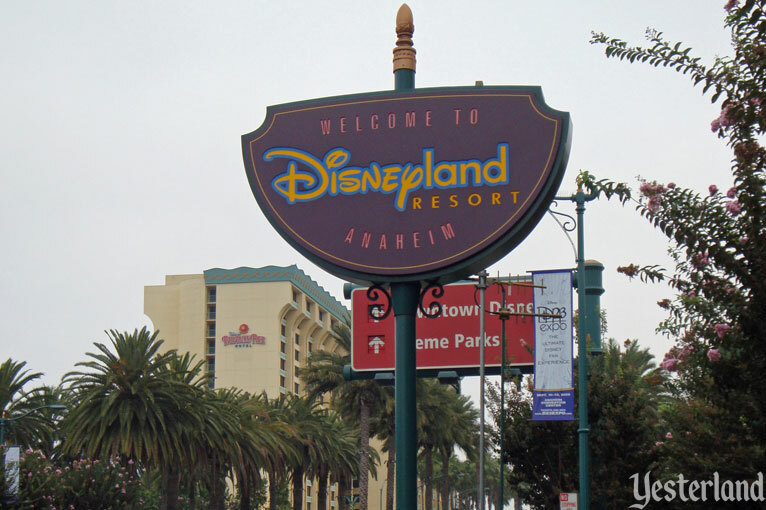 After originally sporting the Disneyland Resort visual identity with Disney and land in two different fonts, the sign switched to the current Disneyland Resort logo in 2007. As had been the case with the arch, the sign has been dressed up for marketing promotions over the years. 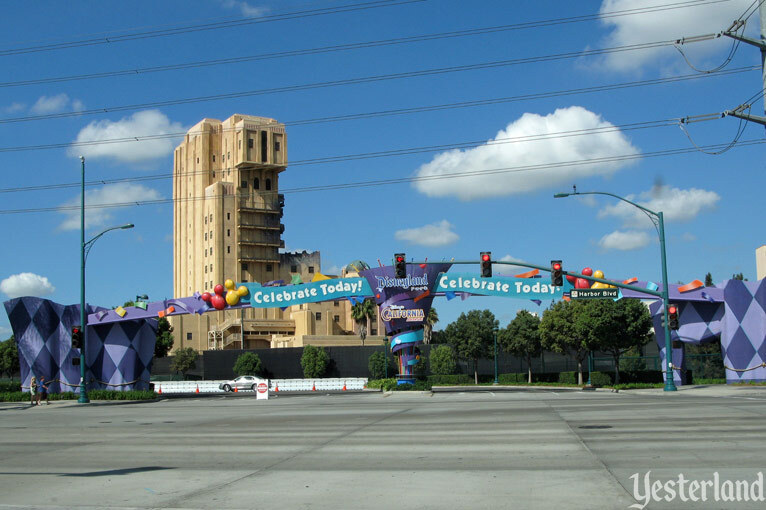 The sign reached its height of gaudiness for the themes of “Celebrate Today” and “What Will You Celebrate?” in 2009, with brightly colored “permanent” balloons. The promotion featured a free ticket to a Disney theme park on your birthday. The sign at the crosswalk continues the tradition of a Harbor Blvd. sign. There’s also a pedestrian entrance sign on Katella Ave., across from the Anaheim Convention Center. Its purpose was to allow pedestrians to enter the Timon parking lot, where they could catch a tram to the parks. As California Adventure grew, the Timon Lot shrank. There’s no longer a Timon parking lot, but the sign and gate are still there. Presumably, the gate can be opened for private events for Convention Center guests. Otherwise, it would make more sense to remove the sign. 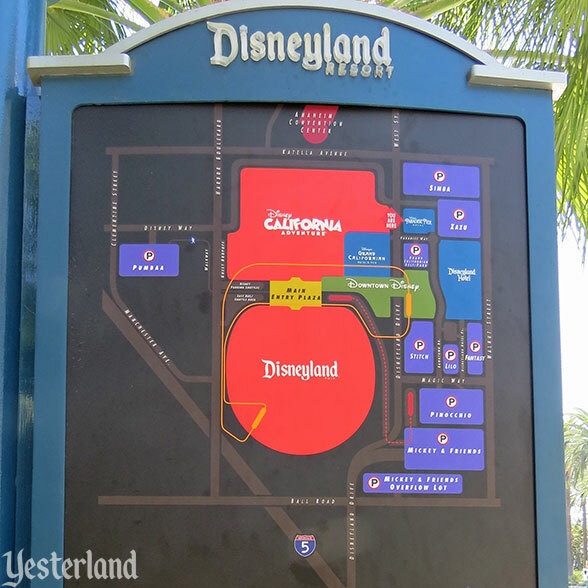 The Disneyland Resort has other signs at other locations, such as at all parking lot entrances. Those signs are not part of this article. 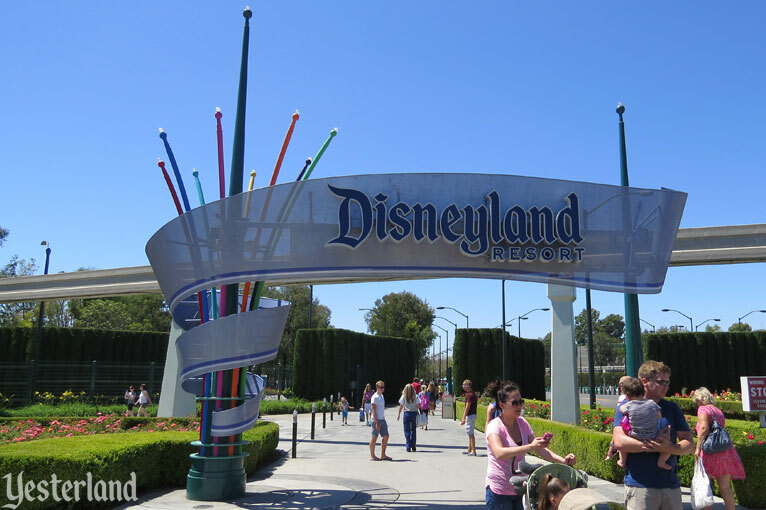 There was something “magical” about the original 1958 Disneyland marquee sign, with the D on a yellow background followed by the other letters—at least for guests who remember the sign from their visits long ago. 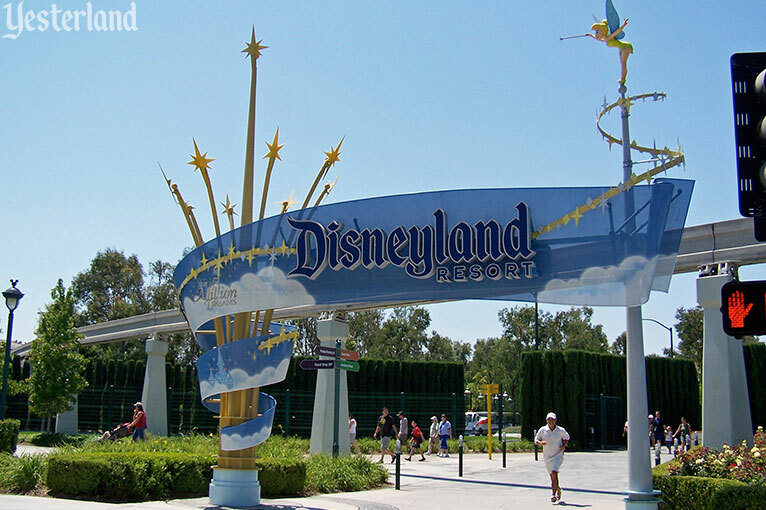 In a way, the old Disneyland sign has returned to the Disneyland Resort. 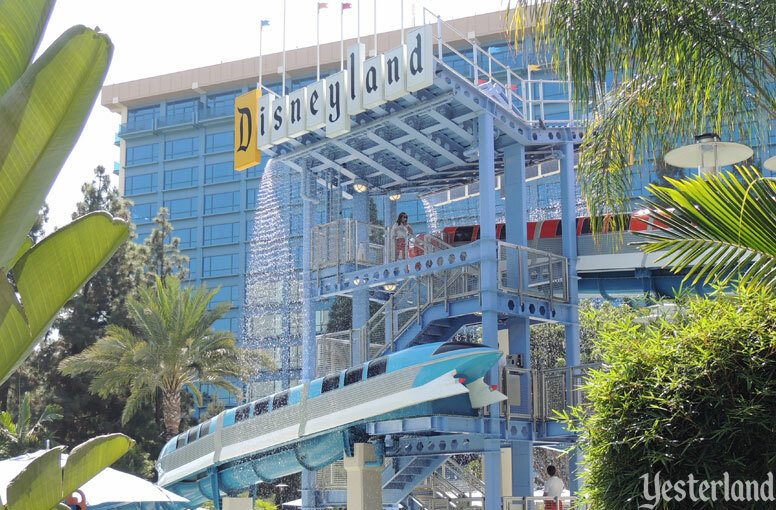 At the Disneyland Hotel, a sign mimicking the 1958 version topped the new water slide in 2011. 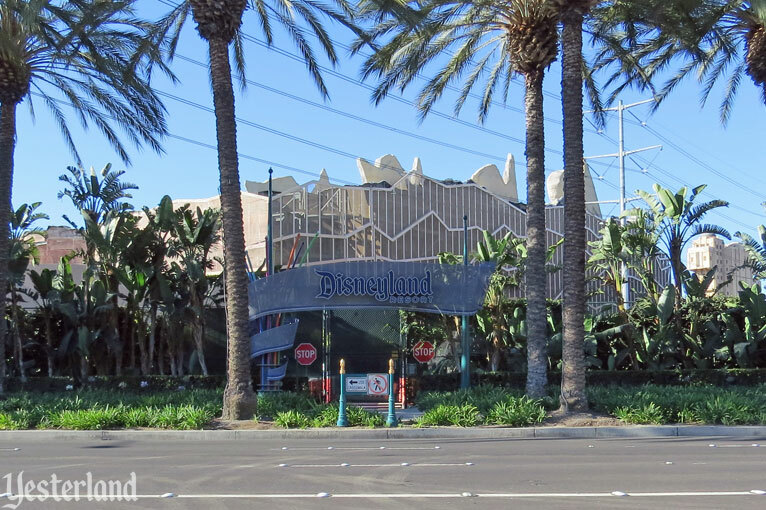 The retro look was extended to the Disneyland Hotel entrance road in 2013. 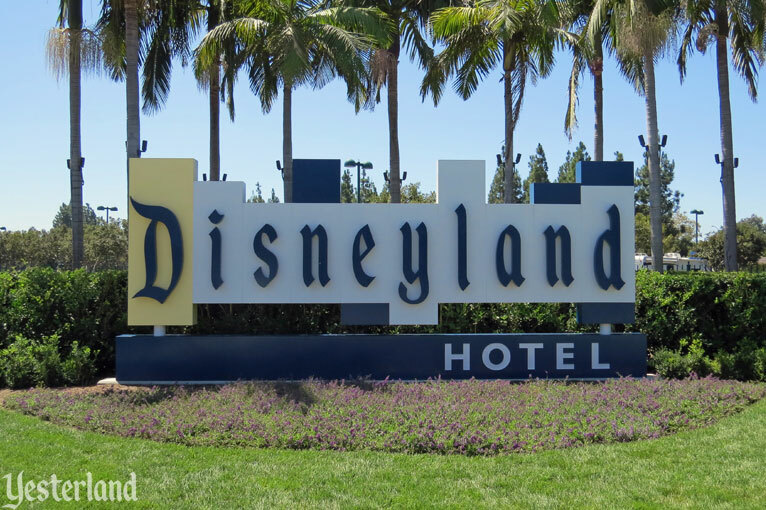 If you like the letter D on a yellow background, the Disneyland Hotel is the place to stay.